Guy Olivier : Engineer for the company Expertises technico-légales Danny Kack since 2011. ­­Guy OLIVIER­ was born in Montréal, QC, Canada in 1952. He received B.Sc.A. and M.Sc.A. degrees in electrical engineering from École Polytechnique de Montréal in 1975 and 1977, respectively, and a Ph.D. in Power Electronics from Concordia University, Montréal, in 1982. In 1982, he joined the Department of Electrical Engineering of École Polytechnique de Montréal where he taught Power Systems and Power Electronics, electrical safety and industrial electricity courses for 29 years. His research interests included power transformers, harmonic pollution and large converters. He supervised more than 50 graduate students. He has done consultation work for a number of Canadian companies and legal firms. Upon his retirement in 2011, he joined Expertises technico-légales Danny Kack as a specialist of electrical safety. He has co-authored four books on power systems and energy and more than a hundred fifty technical papers. Dr. Olivier is a registered Professional Engineer in the Province of Québec, a senior member of IEEE. In 2000, he was awarded the IEEE Third Millennium Medal and is a Fellow of the Engineering Institute of Canada since 2002. For a number of years, he was an active volunteer in the Montreal IEEE Section. 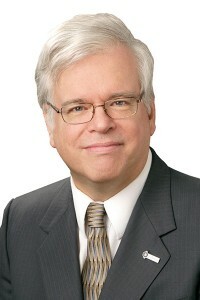 He is member of the Board of director of the IEEE Canadian Foundation.